If you are still searching for a few almost last minute (when you include shipping times) Christmas Gifts for the little people in your life, we've got some ideas!!! 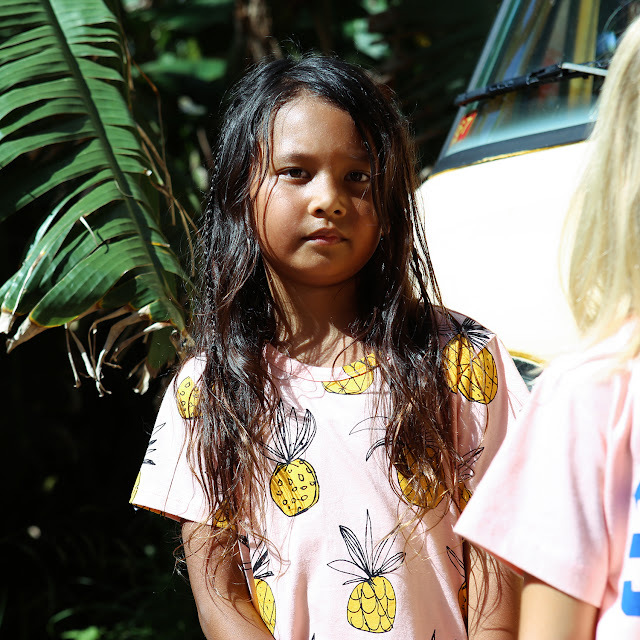 Including the Gorgeous Mini Rodini Unicorn Swimsuit, and Children of the Tribe Caps, Vans Shoes for toddlers and big kids, the softest Roundie Towels from the original Roundie creators The Beach People and we even have a super cute poncho towel too! So many options!! So little time!! I hope the silly season, hasn't got you too silly!! And you can still relax and enjoy the Summer Sun (here in Australia anyway). 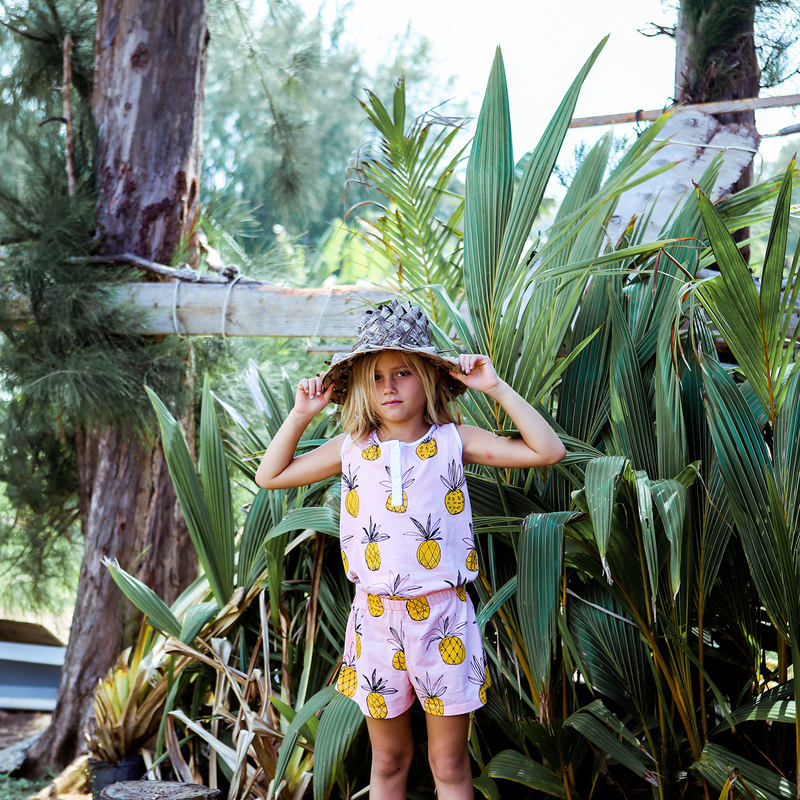 Island State Co just released their debut childrenswear collection, Tropicana. 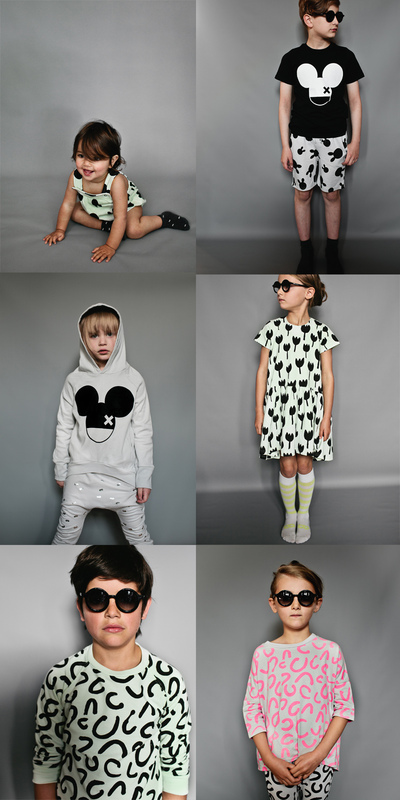 You may find the style familiar, and that is because it is created by the same people who brought us Bandit Kids! 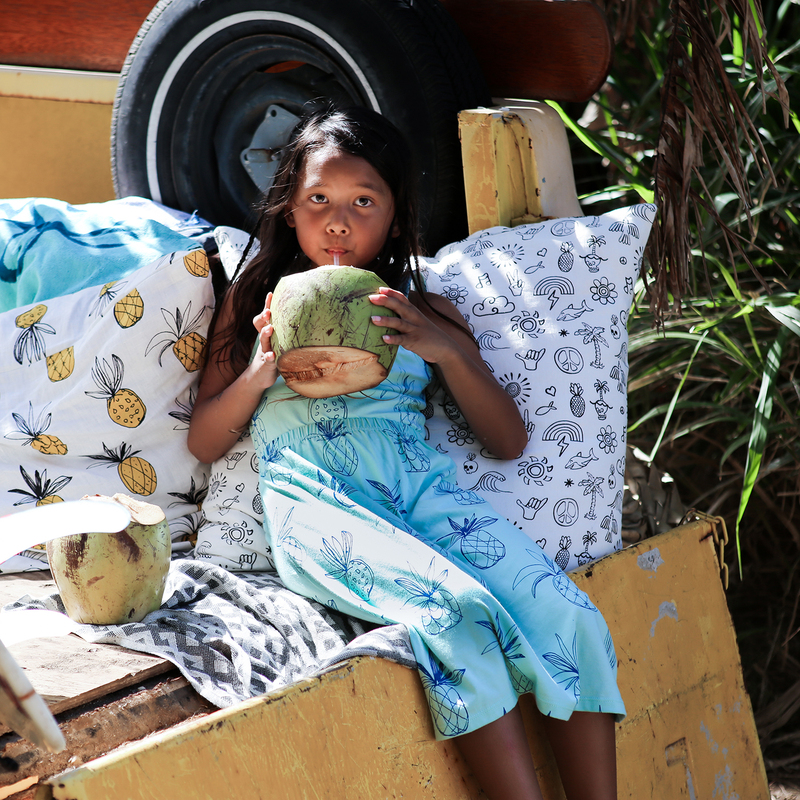 With the change, they have also become a children's eco-surf label! 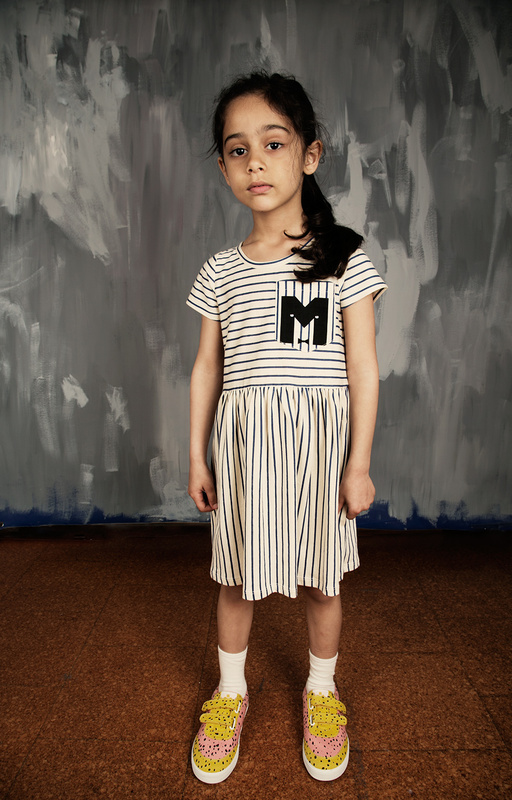 Their garments are produced in Indian under strict GOTS certified organic conditions!! YAY!! When clothes are going on your kids skin, you definitely want it free from nasty chemicals! And Organic Cotton is actually a lot safer for the farmers as well! Which is a huge reason alone for trying to buy organic when you can! 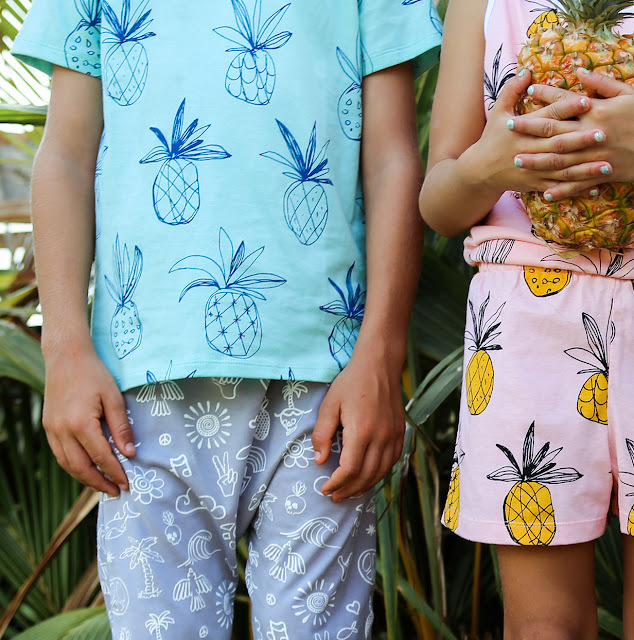 As you can tell, we LOVE the Pineapples in this collection! It just feels so much like Summer! 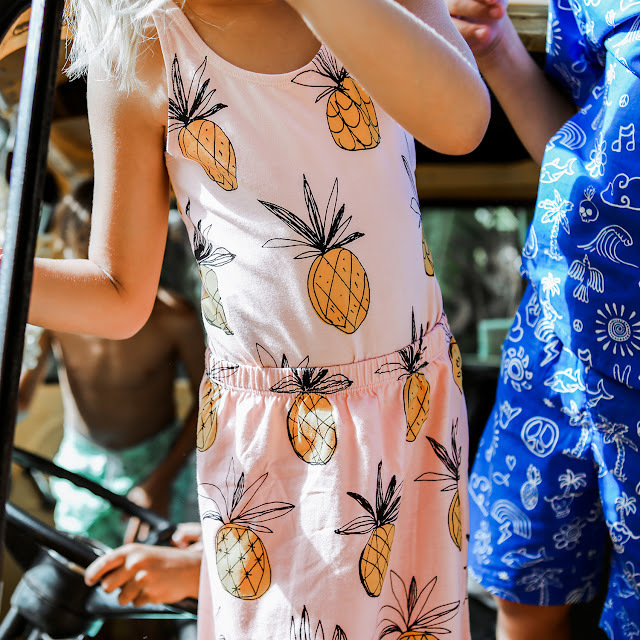 The pineapple print comes in 2 different colour ways and a few different styles, like a 3/4 Maxi Skirt and jumpsuit and shorts! 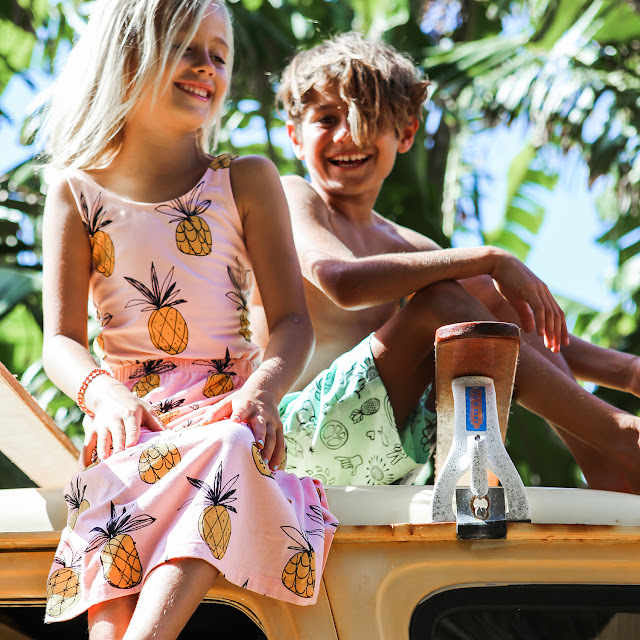 Check out the gorgeous images of this new collection below, and you can purchase the new Island State Co collection, from Yellow Dandy Shop - with Free Australian & International Shipping for all orders over $100 AUD! A few months ago my baby girl turned 3! My gorgeous Elsa obsessed baby girl, who really isn't a baby anymore at all! One thing about baking cakes, is that often the kids eat the icing and leave the rest of the cake. Maybe it is just my baking. But, I know that ice-cream cakes never go uneaten! Being time poor and just exhausted from being up all through the night with a baby, easy was definitely on the agenda! Its amazing that I even managed to make a cake at all! This one was really easy, mix each layer with some food dye, freeze for a few hours and then do the next layer! I added a layer of crushed oreo to make it a little more fun (and delicious)! The shards on the top are made from white chocolate bark! Which is as simple as melting down white chocolate and spreading it on a baking paper lined baking tray! We decorated it with some pink shiny bits and pieces and then popped it in the fridge. Once it is set, I just used a knife to make the sharper points and then, stuck it in the top of the cake! So so simple! But it was a hit with the kids, and I think it looks kind of pretty! It's hard to believe we have been a family of 5 for the last four and a half months! Wow how time flies. The transition from two kids, to three kids has been a pretty huge one! I'm suddenly the Mum walking through the shops with the 3 kids under 5 years old getting very sympathetic looks from passers by, and passing comments like, 'Wow, you have your hands full!' Days are full on, the evenings have gotten easier, with everyone going to sleep at a 7pm bedtime, and the nights are just a guessing game! We may get a good one, with baby Archer just waking up twice, which is our best scenario right now, or it could be the other end of the spectrum, with every child waking up, and a baby waking every hour or two! 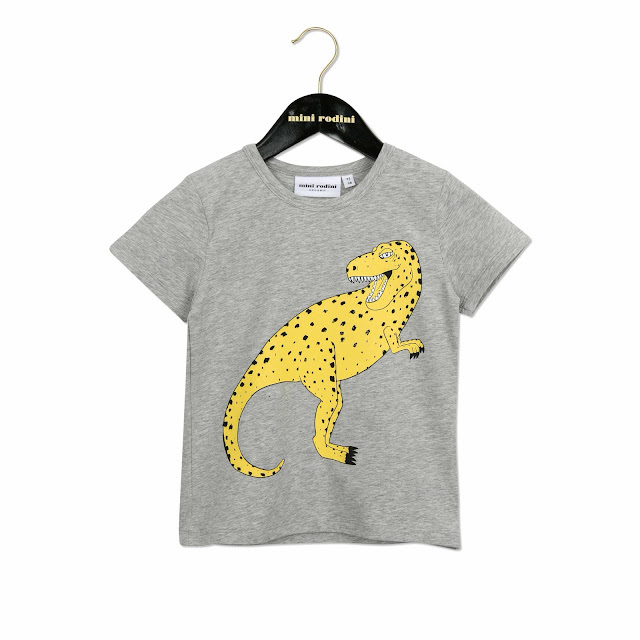 Nobody does animal prints quite like Popupshop Kids clothing! 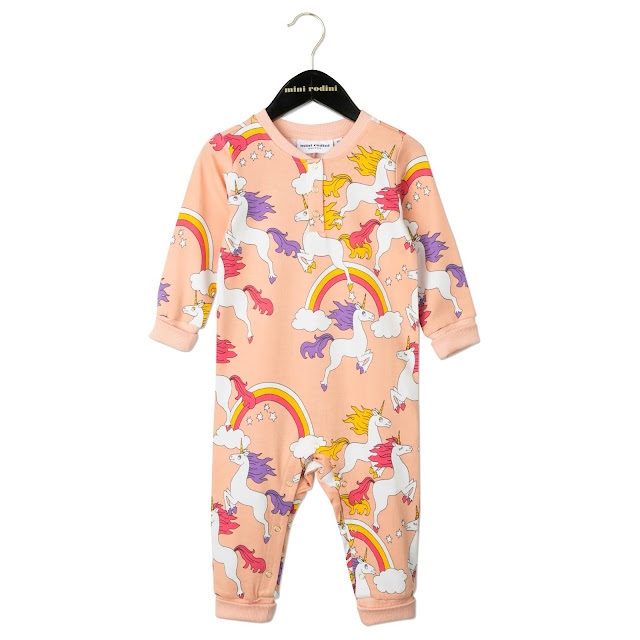 Popupshop kids clothing is definitely one of my all time favourite kids clothing labels! This season we ordered in more styles than ever, and I am just obsessed! Their animal prints are just incredible, digitally printed, but without the use of dyes that contain heavy (harmful) metals & chemicals. The quality is supreme. These pieces will just last and last and last! Which is great for kids like mine, that like to be active and go hard everyday! 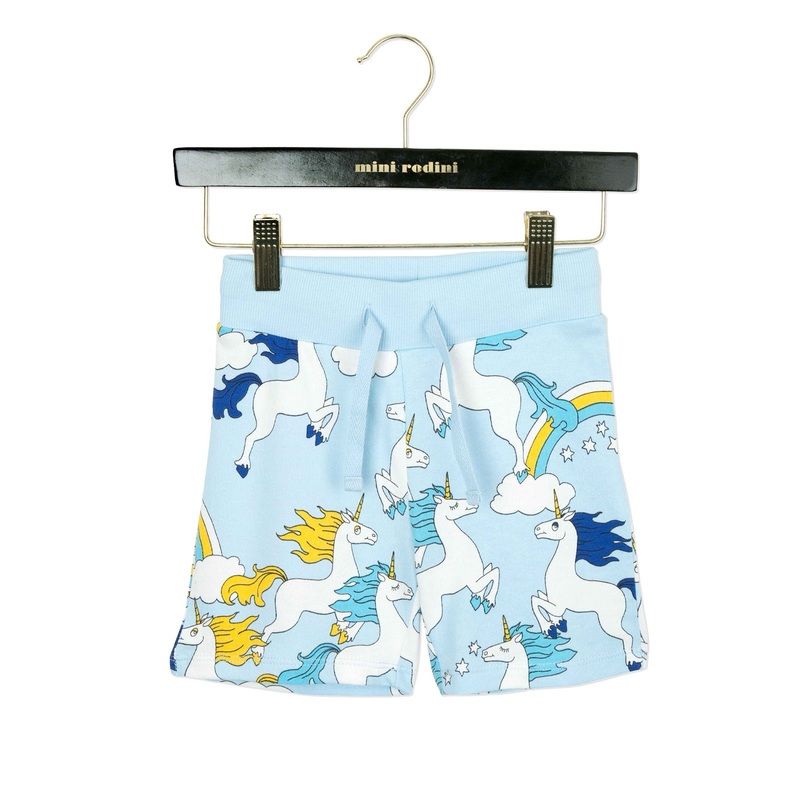 On top of all of this they are made from Organic cotton and they are produced sustainably. I've said this many times before, but we love companies, like Popupshop, that actually care about the people who produce their clothes. They ensure they have real living wages, and good working conditions. This is a huge issue in the fashion/textiles industry as many large retailers, just don't seem to care about how their products are made and by whom, just about the almighty $$. Ethical clothing certainly doesn't have to be lame! As brands like Popupshop, Mini Rodini, Gardner and the Gang, Beau Loves and more have proven consistently! We love a good clothing flat-lay! Sometimes it can be hard searching around an online store and imagining if one thing will match with something else, and being unsure about true colours! 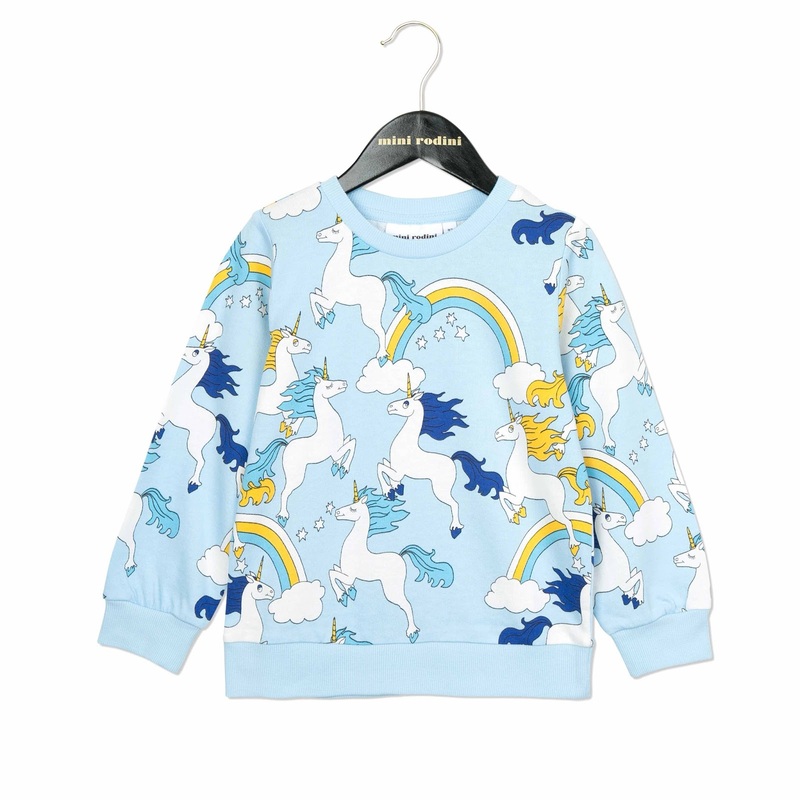 Well, thats why we love to provide some kids and baby outfit inspiration in the way of flat-lays! We love creating fun little outfits and we then share some of our favourite combos daily on our Instagram page! 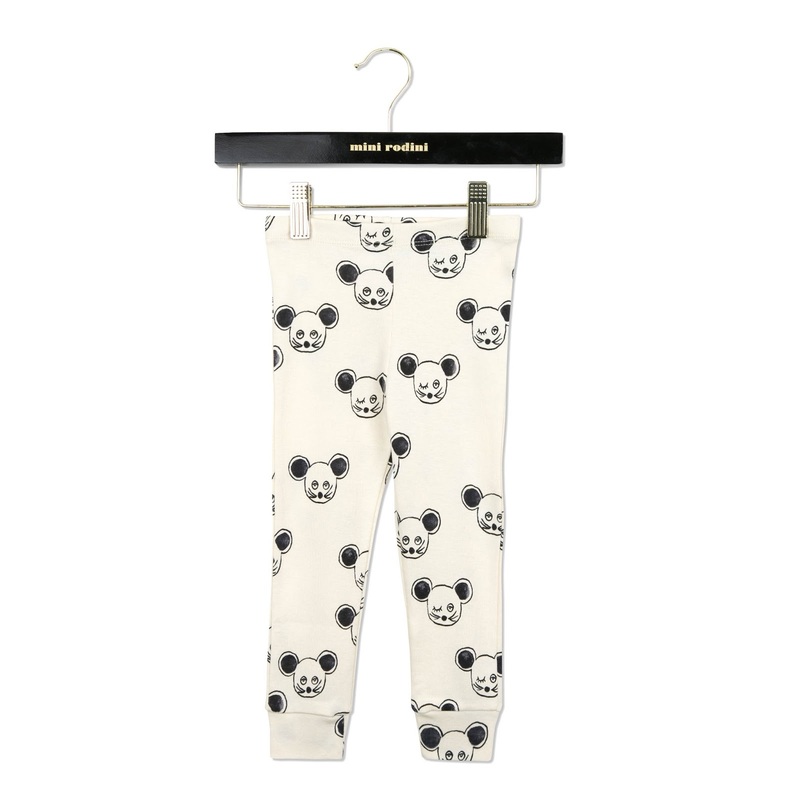 So many of our brands and styles are so versatile it is easy to mix and match! Beau LOves SS16 is Here!! Another day.. another amazing New SS16 Season Launch!! We love this time of year! Especially when the new collections are as great as this! 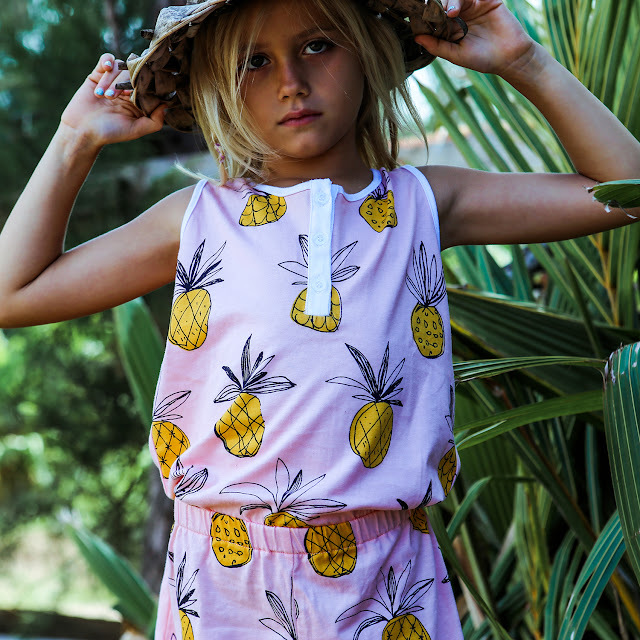 Beau Loves not only makes top quality, fun, designer clothes that both parents and kids love, but they are also sustainably produced in London & Portugal. We love brands with a conscience! 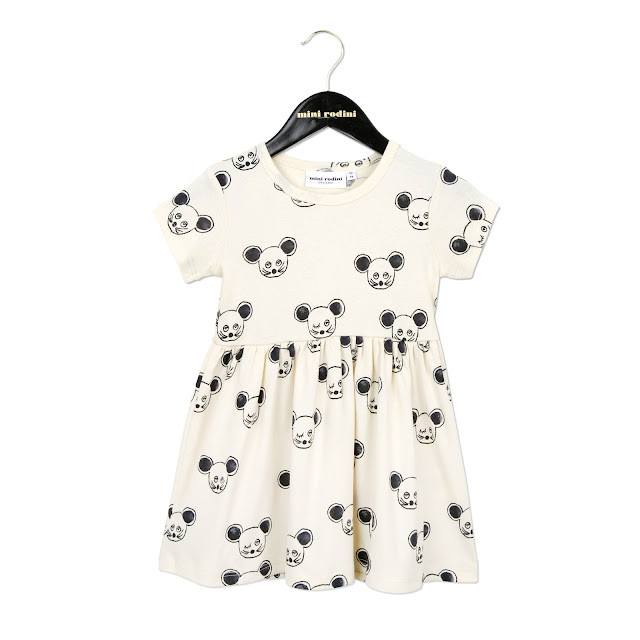 Oh how we love a Mini Rodini launch!!! 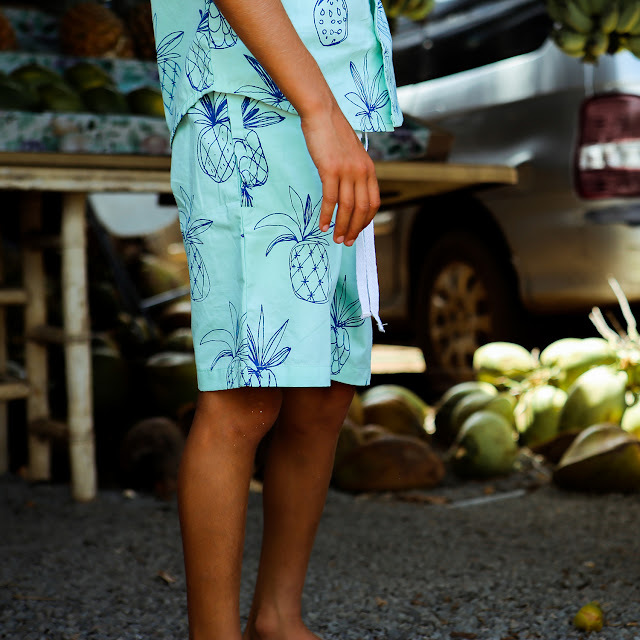 And this new SS16 Fantasia collection is no exception. Unicorns, Rainbows, Dinosaurs, Mice and just really amazing prints all around! To make this collection even better, it is made form 99% sustainable products! What!!!! That's what I call guilt free shopping. Here are some of the amazing pieces that you can find at Yellow Dandy Shop. Keep your eyes open for the launch of Drop 2 in early March!!! 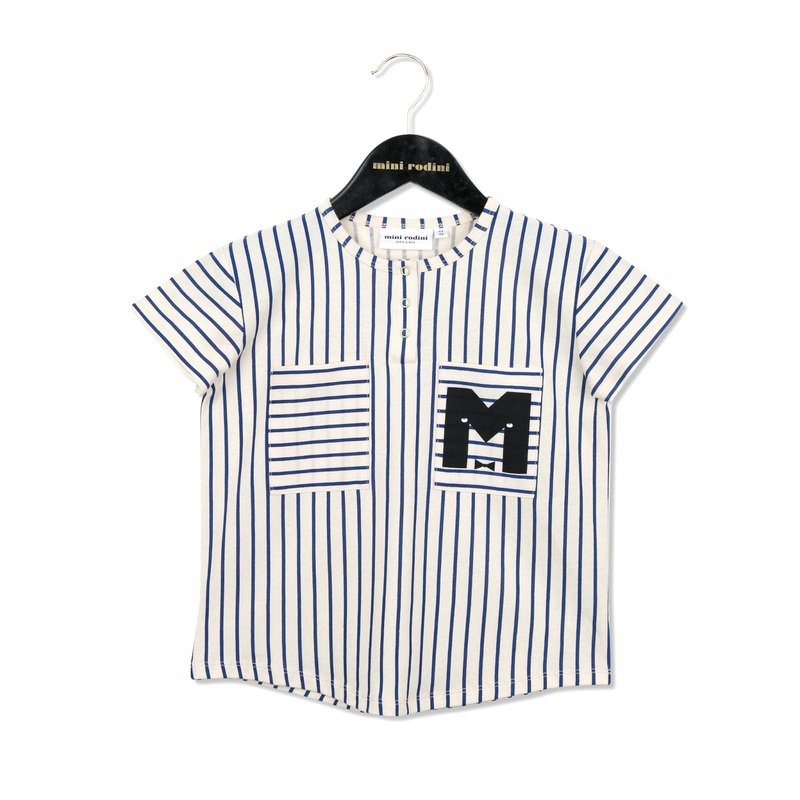 Shop the new Mini Rodini collection at Yellow Dandy Now!